ReVerie undertook the production of premium autoclaved carbon tooling and mouldings for a customer with a new superbike design. Parts were produced for both the race team and for 150 road legal homologation versions of the bike. 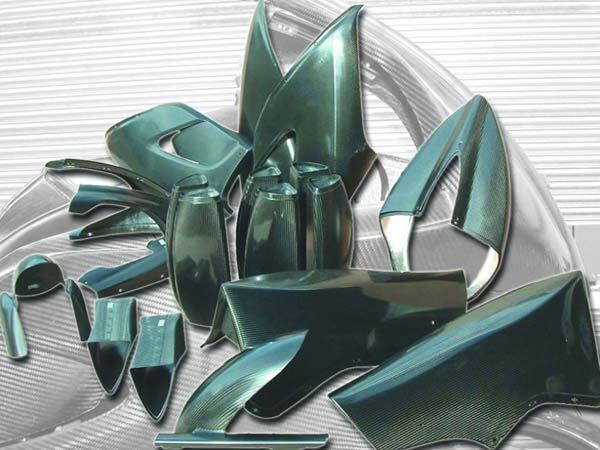 To improve panel fit and assembly on the road bike ReVerie recommended incorporating stainless steel Bighead fasteners into the laminate, replacing race-type quarter-turn fasteners. Lay-up schedules were also optimised by working with the client and material suppliers to reduce weight and keep costs within limits. The mouldings had to be produced to meet the clients build program and allow homologation approval for racing. For the race team ReVerie helped develop the components through pre-season and the season itself to make the bike faster, lighter and stronger. 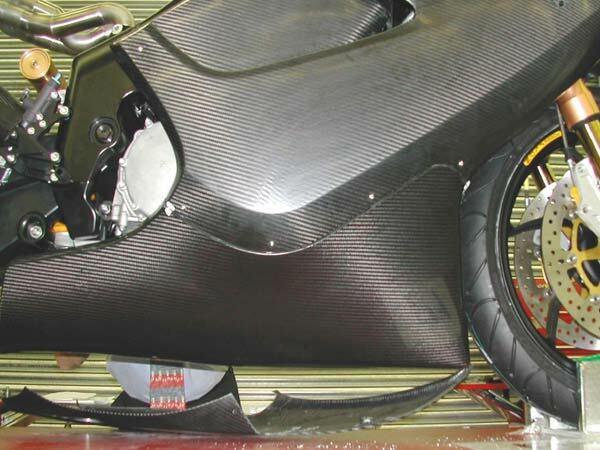 Key improvements made were a significant reduction in weight of the nose fairing and use of a high temperature resin system in the exhaust silencer can pre-preg to give better durability during races.